If you’ve traveled with us before you’ve definitely seen our commitment to sustainability. Through the years, we’ve partnered with leading conservation organizations such as the non-profit Galapagos Conservancy, which is dedicated to advancing and supporting the conservation of the unique biodiversity and ecosystems of the Galapagos Islands, as well as the Adventure Travel Trade Association, a global network that works to support sustainable adventure travel markets worldwide, and the International Association of Antarctica Tour Operators, which is a member organization that advocates and promotes the practice of safe and environmentally responsible private-sector travel to the Antarctic. Of course, sustainability goes beyond protecting the environment, as it also includes the economic and social well-being of the communities in which we operate. We work extensively to ensure our trips directly benefit the people who live in the places we experience. Our beloved guides are local, as are the porters and logistics teams, and we make sure to patronize locally-owned and operated hotels, lodges, and restaurants. We also recognize that in order to truly remain committed to sustainability, we need to adopt new practices and learn from sustainability leaders. With this in mind, and in celebration of Earth Month this April, we decided to once again reaffirm our sustainability ambitions and commitment by pledging to Sustainable Travel International’s 10 Million Better campaign. Sustainable Travel International is an organization that helps communities, travel companies, and governments around the world operate in a way that allows them to contribute to the economic and social well-being of the travel industry. 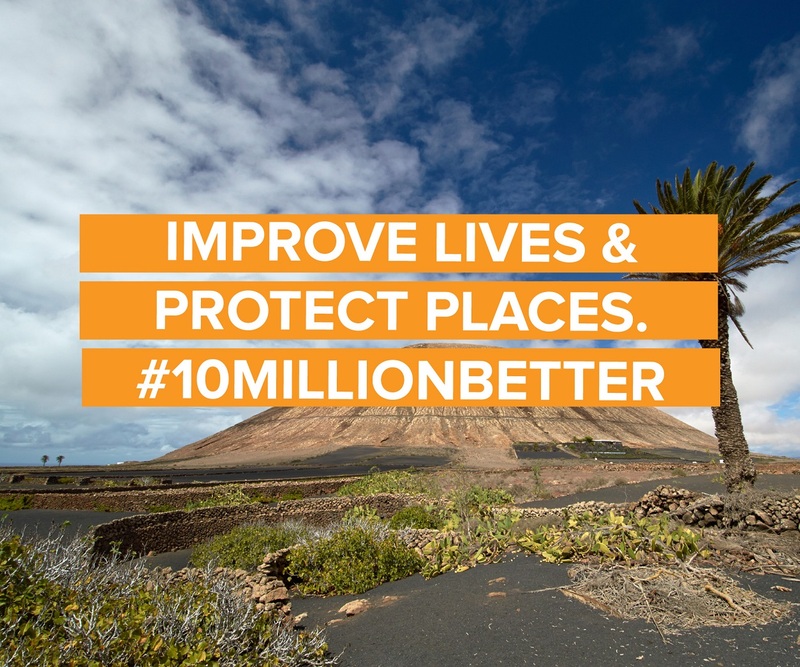 With the 10 Million Better campaign the organization is bringing together like-minded travel and tourism leaders, destinations, and companies like Southern Explorations who are determined to contribute to the greater good and the long-term well-being of people and places most impacted by travel. Over the next 10 years Sustainable Travel International is committed to contributing to the social and economic well-being of at least 10 million people in travel and tourism destinations around the world, increase the economic benefits of travel and tourism, create networks and alliances throughout the travel and tourism industry to multiply the benefits of their good work, and engage millions of travelers in the growing global movement. Our entire team of Latin America experts have signed the pledge, stating that we pledge to support the goal of improving the lives of 10 million people by 2025. The first step in our commitment is to help spread the word to our friends, industry partners and travelers to join us in this important commitment. So today we ask you to join us, take the pledge, become a 10 Million Better champion and help create a better world through travel.